Tales from the Week Day Home: Biscuits for Macmillan! Morning! It's an early blog this morning as I and my work colleagues pack up our cakes, biscuits, flapjacks and bakes for the fund raising Coffee Morning for Macmillan's Cancer Support. 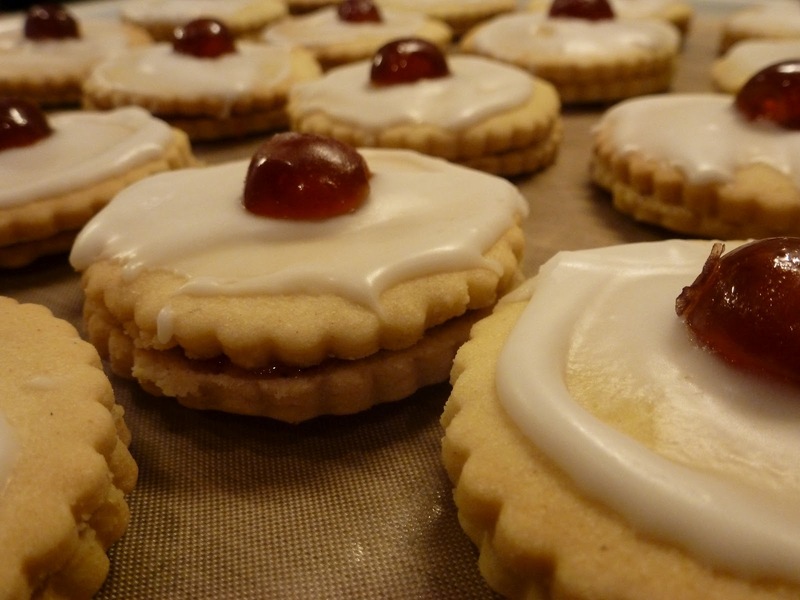 In addition to the mouse I've made some empire biscuits stuffed with delicious strawberry jam, iced and half a glace cherry blobbed on top. I don't think we'll be needing breakfast today! There's also the promise of a Celebrity Baker from The Great British Bake Off, a hugely popular programme here in the UK so all us amateur bakers are pretty excited about that too. And it's Friday! Does it get any better? !